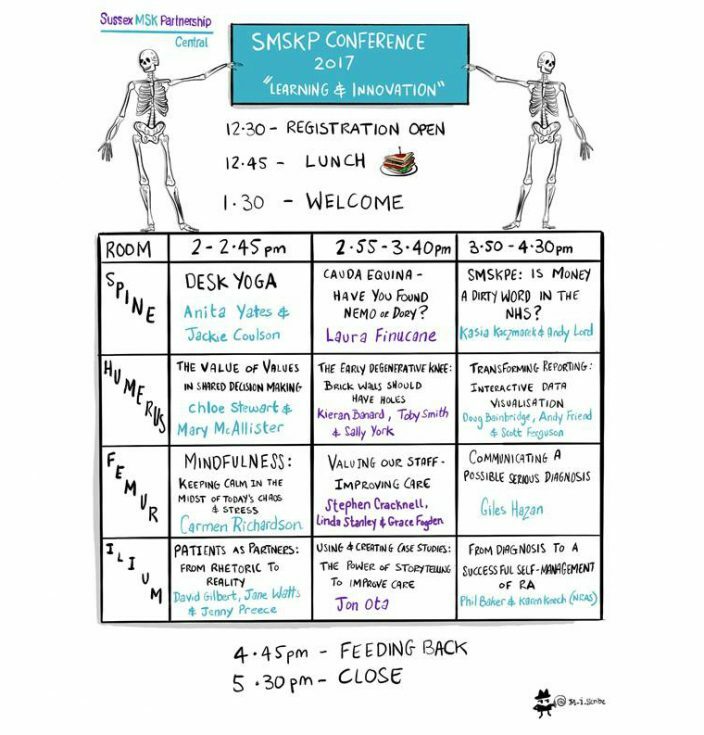 Mary McAllister, Advanced Practitioner for lower limb working with Sussex MSK Partnership, reflects on sharing her work on shared decision making at this year’s SMSKP Conference which was hosted by the service’s ‘Culture Club’. 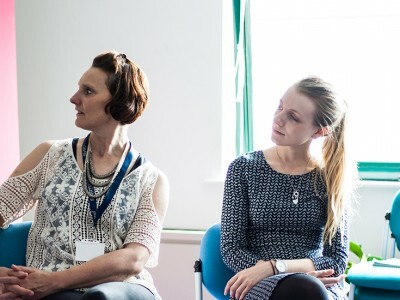 Earlier in 2017 Sussex MSK Partnership hosted a conference for everyone who works in the service. Around 200 people came to the two day event. Our theme was learning and innovation. It was organised by our ‘Culture Club’, which is a group of people from across the service – in clinical and non-clinical roles – who champion the values and vision of the SMSKP service and keep us connected to our purpose, values and what matters most as a service, pathways, teams and individuals. It’s part of our ambition in SMSKP to support a network of staff who learn together with citizens. You can hear more about the conference from some of the people involved in organising and hosting it in this video. Along with my colleague Chloe Stewart, Health Psychologist and Self-Management Lead for the Sussex MSK Partnership, we felt we’d like to host a session at the conference about self-management and shared decision making. Our workshop was called ‘The value of values in shared decision making’. What motivated us to host the session? My role is as an Advanced Practitioner, I work specifically with lower limb conditions in the MSK service. 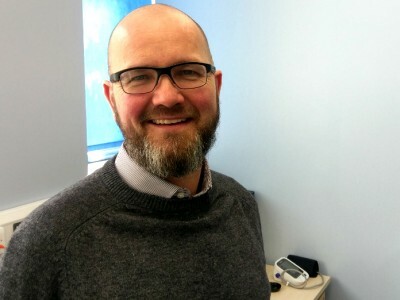 I’m really involved with a lot of patients who have chronic musculoskeletal conditions, and there’s been a change in the way we view and manage those conditions over the course of my career. The focus has shifted from surgically oriented management to looking at self-management of those conditions. Chloe’s role is also focused on self-management, self-education and helping patients have a better insight into their problems. The emphasis has changed for both of us, from us as the clinical experts telling patients what’s best for them, to offering more guidance and understanding how we can help people to best self-manage it? We wanted to use our workshop to tell this story and connect with people who were interested in this change in role. Some people aren’t familiar with shared decision making at all, while others have misconceptions around what it is. We hoped the workshop could be an opportunity to really open out a better understanding to everybody about true shared decision making and the important role it plays in our work. We designed the session to be accessible to clinicians and non-clinicians. We hoped the workshop could be a place for everyone to have good conversations, particularly around values. Why focus on values in shared decision making? We really wanted to talk about the importance of values; understanding answers to questions like: ‘what’s important to you?’, ‘how do you value things?’, ‘where do you see things?’ This feels like a key thing that is missing from some conversations around shared decision making. Our sense was that before asking others – patients, work colleagues – about their values, it might be useful to reflect on what our own values are. This is very important in our service and in Sussex MSK Partnership: unless we know what our own values are then perhaps it’s difficult to have conversations with patients about their values. Values are important to clinicians and non-clinicians alike. We don’t discuss values but we all have them and often conflict occurs when we assume another’s values are the same as ours. Values can be important at a strategic, high level. They’re also important at a practical level – for example when non-clinical staff have an interaction with a patient and need to understand the patient’s values in terms of appointments, time or commitment. Perhaps you’re trying to organise a follow-up or you don’t understand why a patient isn’t responding in the way you’d expect them to. Patients have to make a lot of decisions: do they want an appointment, when, do they want to go there or there, choosing where they want to go, do they like speaking on the telephone? It’s really important for non-clinical staff to understand values in those interactions. Working together in any work place, values are important. For example, team managers understanding the values of other staff around them and understanding their values in terms of how they work. What kind of learning happened at the conference? I’ve delivered clinical sessions at conferences before – that’s in my safe zone. This was different. The wider audience meant I had to get the pitch right. People really engaged in the session. People were quite honest about their feelings and exposed themselves. I felt positive about that. It was good to try something different – challenging yourself is good. It reenergises you. You can find out more about the Sussex MSK Partnership conference and the work of the Culture Club by talking to Una Nicholson. You can email her on una.nicholson@nhs.net. The photographs of the conference were taken by Emma Henderson. Patients and carers as partners for change – What are we doing?